Everyone who has walked upwards towards mountain areas has observed a gradual reduction in the trees’ height and dominance before treeless mountain moors completely take over. Gauri Bandekar (29) from Goa in India has taken her PhD at USN to take a closer look at this. Temperature conditions both in the forests and heather moors in the far north of Norway indicate both that these areas don’t belong in the Arctic. 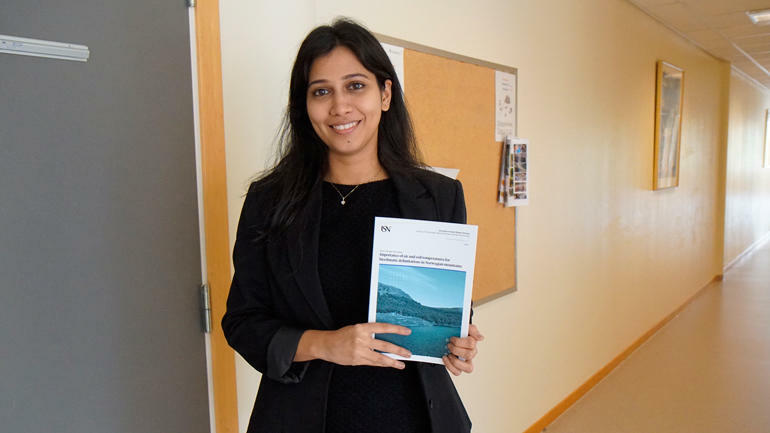 Through the Faculty for Technology, Natural Sciences and Maritime Sciences at the University of South-Eastern Norway (USN), Gauri Bandekar (29) from Goa in India has studied different temperature factors at the tree line in seven areas in southern Norway and 28 areas along the coast of Finnmark where the forests have their northern boundary. She has done this to find out whether the tree lines in all of these areas are delimited due to the temperature. 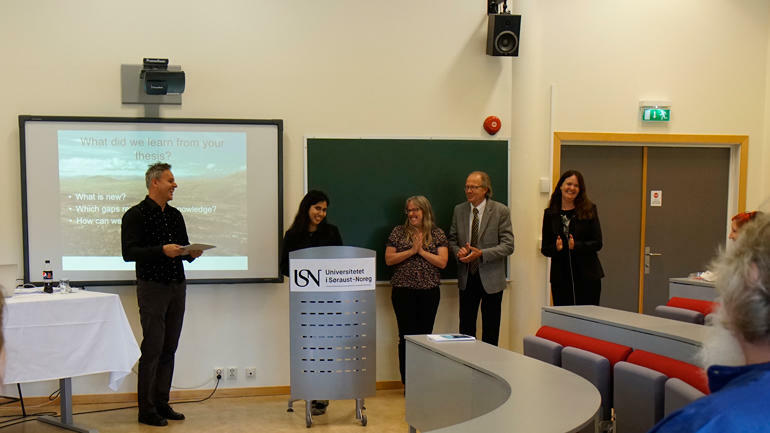 On Tuesday June 18th she presented her doctoral thesis in ecology “Importance of air and soil temperatures for bioclimatic delimitations in Norwegian mountains (in Norwegian)” at USN’s campus in Bø. There she presented evidence that we don’t have bioclimatically defined arctic vegetation in mainland Norway. We have to expect that the temperature is somewhat similar everywhere. If not, other factors must be important and the tree lines must be climatically determined. 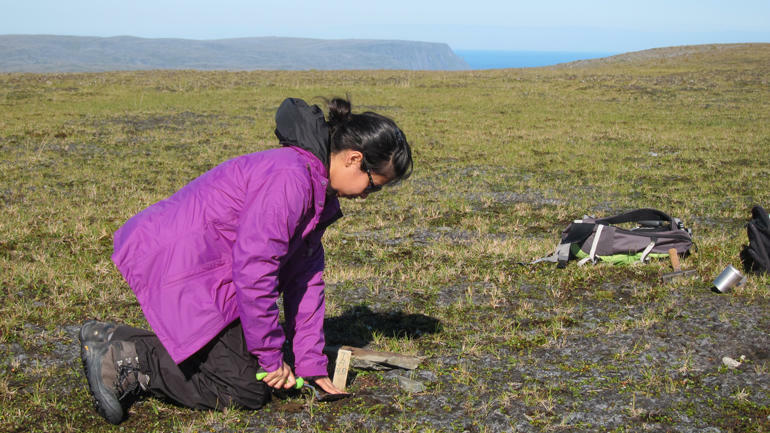 A key issue has been to gather ecological data that can contribute to the ongoing debate on whether the coast of Finnmark should be included in the Arctic zone or not,” Bandekar says, who has compared her samples with earlier samples from 1961 up to 1990. Check out available PhD programmes at USN. Bandekar chose the coast of Finnmark because the area is remote and quite unresearched. Now she believes that more research is needed in the area. Factors such as wildlife, rainfall and plant life need to be investigated further. “It’s unique,” says the PhD fellow, who previously completed her master’s degree at Savitribai Phule Pune University in India. For more than a hundred years scientists have attempted to find explanations to why the prevalence of trees declines with altitude. Research has shown that several factors may be important. With the absence of other critical factors, it has been shown that the summer temperature is most important. It was discovered early on that the tree line is delimited in areas where the median temperatures in July (air) are lower than 10 °C, and this characterises the climatic tree line. This value has often been used to define temperature conditions in the mountains above the tree line and in the Arctic north of the tree line. More recent regional studies have nevertheless shown that temperature conditions at the treeline can vary between 8 and 12 °C. This indicates that other factors may be critical. “Temperature conditions both in the forests and heather moors in the far north both indicate that these areas don’t belong in the Arctic,” Bandekar says. Her conclusion is thus that there is no bioclimatically defined Arctic vegetation in mainland Norway. Both climate, soil conditions with an absence of permafrost, flora and vegetation diverge significantly from what we find in Arctic areas. Air and soil temperature conditions were registered daily throughout a year in 126 sample sites in the treeline areas. Soil samples were also collected and analysed. Additionally, the coastal heather moors north of the tree line were studied and compared to corresponding data from the Arctic areas Bjørnøya and Spitsbergen. The flora and vegetation were studied in all areas. “The data was analysed using statistical methods to find out how similar or different the temperatures were in the different areas. Results showed that both air and soil temperatures in the areas could vary widely,” Bandekar says, who spent a lot of time in the areas where the samples were taken. In South-West Norway and on the coast of Finnmark the temperatures at the tree lines were higher than in South East Norway. This indicates that the forests in the north and west don’t grow at their critical temperature limit, but are likely limited by other factors. The obvious explanation for this is that a lack of high mountains and available land areas in the north limit the prevalence of forests. This indicates that neither the Alpine tree line in South West Norway nor the tree lines along the coast of Finnmark are delimited by the temperatures. “Global warming has led to this. If we find other factors, we may do something about it,” Bandekar concludes.